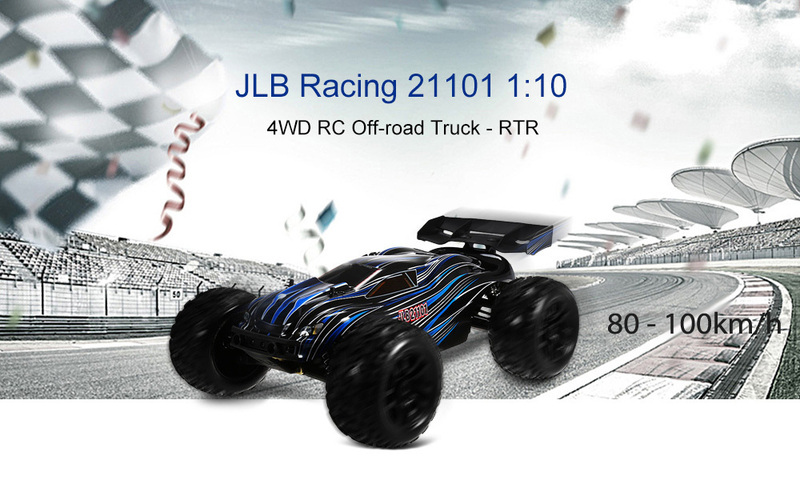 JLB Racing 21101 off-road RC racing truck is an exceptional RC vehicle armed with the powerful 3670 2500KV brushless motor and HOBBYWING 120A brushless ESC, allowing it to reach the highest speed of 65 Mph without any difficulty. 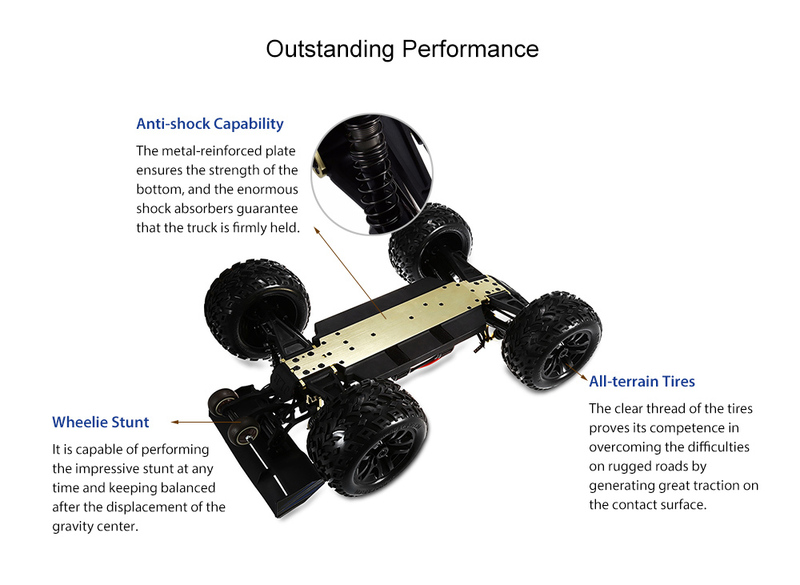 The enormous truck has a strong wheelie bar that makes it easy to raise the front part of the RC vehicle while keeping in balance. 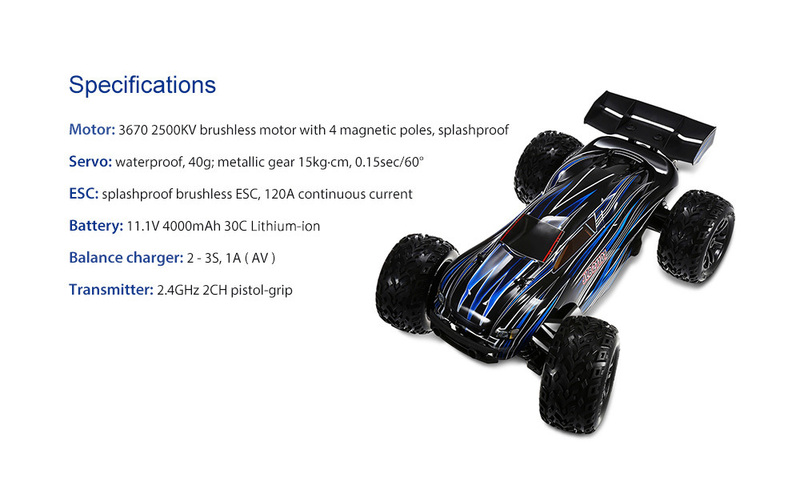 The FLYSKY FS - GT2E effectively guarantees the control range of 100 - 180m. 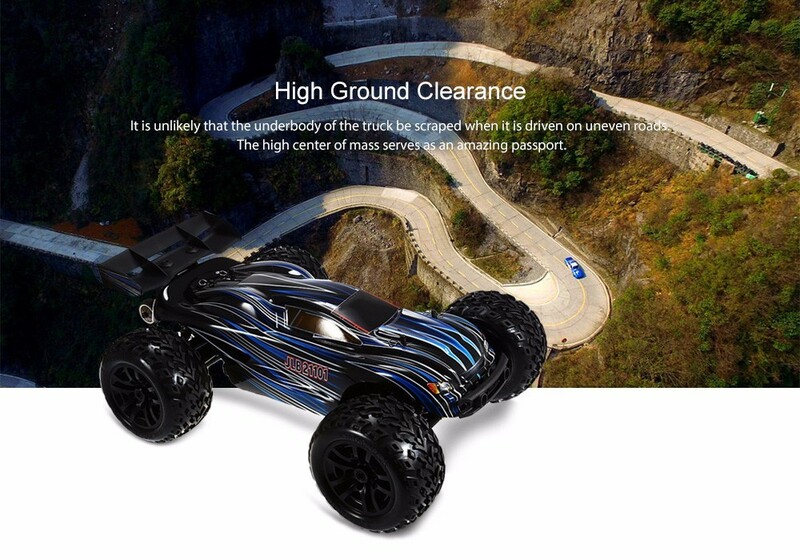 Very good car, at first cost to connect the car and control. After a while you could already play well. Good battery life and good speed. 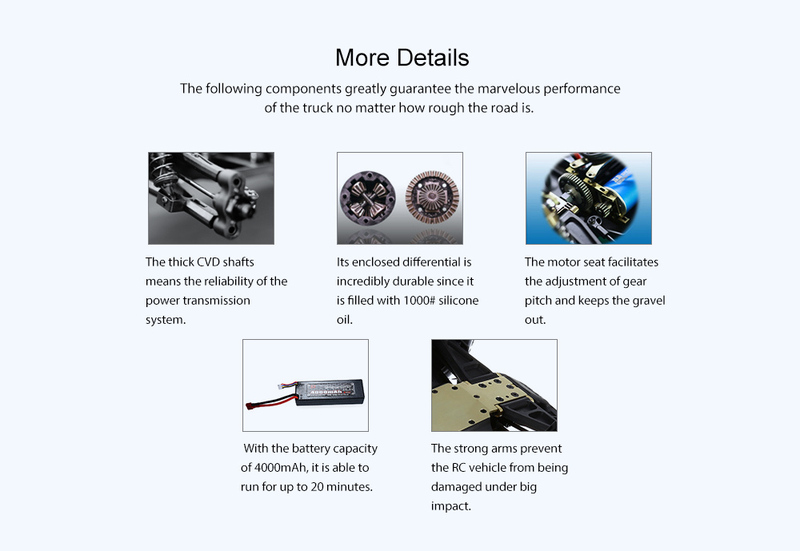 Maximum 28 k/h, taken by gps. Shipping very fast. Great item! I haven’t try it yet because this is a Xmas present but everything seems to be like described. I will leave additional feedback after trying it.